Home » life » She’s Afraid This Chimp Doesn’t Remember Her After 18 Years Apart. Then Watch What Happens When She Reaches Out Her Hand..
She’s Afraid This Chimp Doesn’t Remember Her After 18 Years Apart. 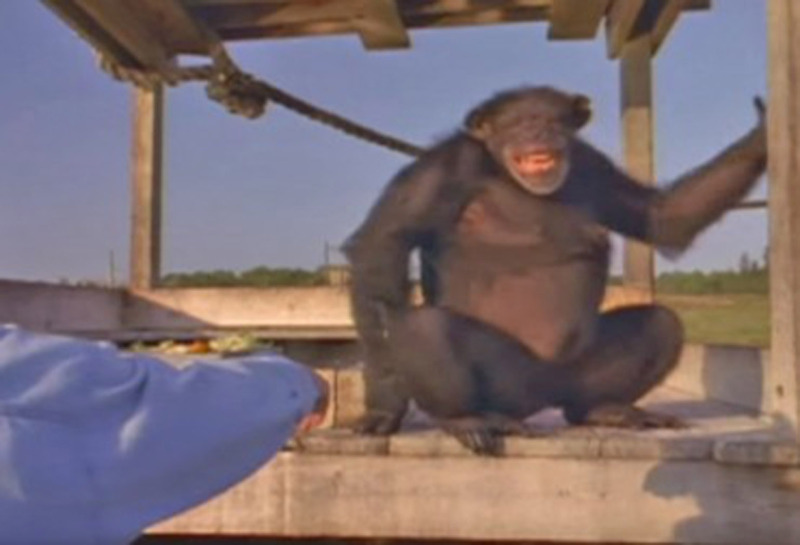 Then Watch What Happens When She Reaches Out Her Hand..
She was a 23-year-old grad student when she opened up the cages of lab chimps to set them free. They hadn’t seen sunlight in six years. They were frightened and Linda Koebner was there to ease them back into the real world. She taught them how to live in the wild and essentially ended up serving as their surrogate mom. She spent four years watching two apes named Doll and Swing. Then, finally, they were ready to live out their years in their natural habitat, on their own. Linda bid them farewell. Fast forward 18 years. Linda hasn’t seen them since, and she is sure that there’s no way they will remember her. They have so many years racked up as wild animals that it simply does not seem likely. So it was with great amazement that when she reached her hand out, Swing grabbed it, and pulled her in for a hug! Now it’s Doll’s turn. Even from a distance Doll recognizes Linda and runs to her. At this point Linda is in complete tears. Share this wonderful family reunion with friends and family!